April 2016 – Ed Redlich and Chris Spear with ComReal Miami have successfully sold 14.7 acres in the Homestead Park of Commerce in Homestead, Florida. The seller was Homestead Park, LLC represented by ComReal and the new owner is Dunham-Bush USA, LLC who was represented by Grove Properties. The sales price was $3,100,000 or about $4.85 per sq. ft. 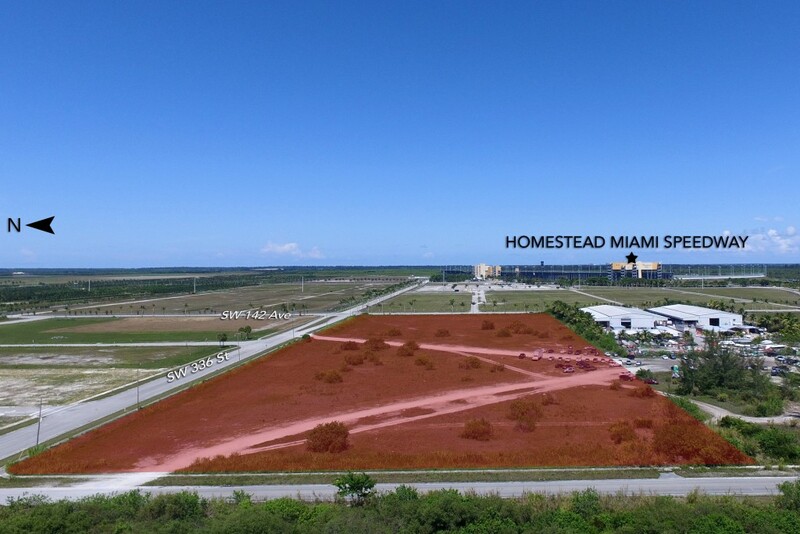 The site is zoned for industrial use and is located adjacent to Contender Boats and the Homestead-Miami Speedway. Dunham-Bush intends to construct a 257,000 sq. ft. of warehouse space for the manufacturing of air conditioners. Dunham-Bush and Max Chiassian, CEO have long been committed to offering creative solutions for their customer’s needs over its 100+ year history in the heating, ventilating, air-conditioning and refrigeration (HVAC/R) industry. Their corporate headquarters are located in Kajang, Malaysia, with offices and operations around the globe. Visit www.Dunham-Bush.com for more information. Since 1979, The ComReal Companies have been a leader in commercial real estate, specializing in asset management, leasing, property management, investment services, and tenant/ buyer representation. ComReal’s team of highly trained and distinguished professionals has earned the company its reputation for serving clients with a comprehensive range of services. The ComReal Companies and its affiliates are also well recognized in the equity side of the commercial real estate industry. For more information on ComReal, please call 305-591-3044 or visit www.ComReal.com. On October 26, 2016 Dunham-Bush USA will be requesting Site Plan approval from the City of Homestead for a 264,892 sq. ft. industrial facility on 14.71 acres in the Homestead Park of Commerce.